- There were a lot of things about the Lions in the first half that were very, very impressive. Calvin Johnson was brilliant. They did a lot of good things defensively. Matthew Stafford threw for a zillion yards. The Lions have the lead. It's just the Lions are still displaying a propensity for shooting themselves in the foot figuratively with mistakes. This is an obviously talented team, but it is not going to make the desired headway until it starts playing sound fundamental football consistently. - That was best kind of sack young Lions' defensive ends Ziggy Ansah and George Johnson shared during the second quarter. It was the oldest defensive play call in football, "Lets meet at the quarterback." 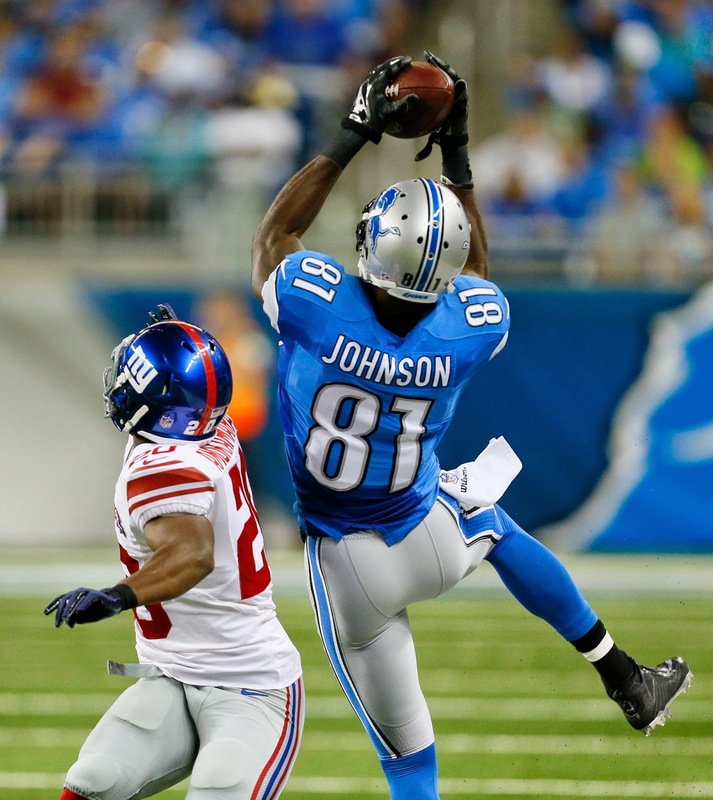 Johnson has been an unexpected surprise and apparent find for the Lions. He is proving his excellent preseason was no fluke, as he literally played himself onto the squad. He had 1 1-2 sacks in the first of his first game with the Lions. On Monday Night Football, yet. That definitely falls under the category of "unexpected." - The Giants are clearly going after Lions' cornerback Darius Slay, but he's held up pretty well. - Ah, kicker is a huge concern for the Lions. That FG miss by Nate Freese couldn't have been more disappointing.